Yoga has become a popular choice of exercise for adults over the past few years, with adults experiencing the many benefits to the mind and body. Yoga isn’t perhaps the first choice of exercise class that parents pick for their children, many opting for more mainstream classes, such as dance, ballet, gymnastics, football etc. When done properly under the guidance of a trained and experienced teacher yoga can offer children many benefits. Children’s yoga classes, in the same way as all your other children’s classes, are fun, creative and engaging. During a typical children’s yoga class you should expect your child take part in some breathing exercises, these are given fun names, such as snake breath where the children will be guided to breathe in through their nose and make a hissing sound as the breath out, this is a great calming exercise for children, so it is ideal to use with younger children who are maybe frustrated, as well as older children who are experiencing new and scary emotions and feelings. Children will then be guided through some asana’s (postures), these maybe through a story, to music, through games or through partner poses. The physical postures will build strength, flexibility and balance. The class will always finish with a relaxation, this is usually a time where the children will lay still on their mats and the teacher will read a story or visualisation to them. This is a time when any positive messages from the class are reinforced. The teacher will then usually guide the children to scan their bodies, they will encourage the children to concentrate on each body part, for example their arms, legs, torsos etc., this channels the mind and encourages the children to focus on their bodies and how they feel after their yoga practice, as well as encouraging them to let go of any unnecessary thoughts, feelings, worries etc. Yoga is a great way to teach your children how to be happy; how to manage emotions; how to communicate in a positive way; how to keep our body healthy; how to feel connected to ourselves and be respectful of our bodies; how to increase our self-esteem; how to develop self-control; how to concentrate; how to relax and find some peace of mind; how to be creative and how to think independently. These are all benefits which will support your child at nursery, pre-school, school and beyond. Yoga is a life-long journey and is something that your child can continue to do at every stage of their lives. 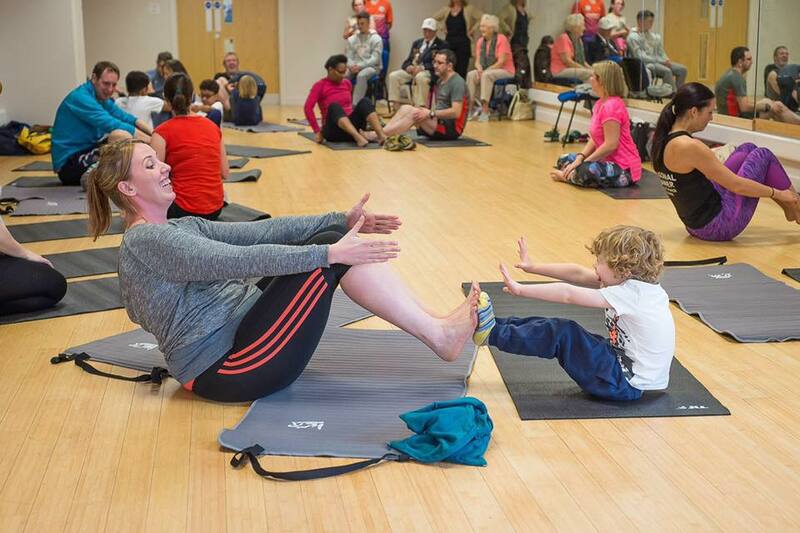 Yoga is non-competitive and although children will be encouraged to challenge themselves, they are also encouraged to work within the limits of their own bodies. You can join me for Family Yoga on a Saturday morning 9.15am – 10.00am at Hazel Grove Sports Centre, suitable for children aged 3 years+ and their parent/carer. Please visit https://hg.sports-booker.com/home.php to book and pay for this class. Stockport Mumbler would like to thank Suzanne for this guest blog.